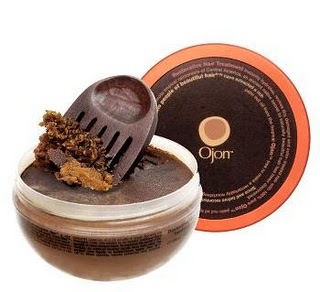 Wonder Product Ojon for glorious smooth Spring hair. I must admit that when I received a press release urging ‘Restore Your Hair This Spring’, I thought, well of course, but this colour treated, dry hair is going to take some amount of work and wonder product. Try as I might, I often regard PR hype that over promises and under delivers, a bane as well as a imposition on my time. But, Ojon, surely, it wouldn’t hurt to go the whole hog and actually see if this entire range did make a difference? To give some background, Ojon is a hair treatment range developed by Denis Simioni thanks to his discovery of the Tawira people in Hondures. Ojon oil has been used by the Tawira, known as “the people of beautiful hair”, for hundreds of years and now this brand name is spreading as it’s under the wing of the Estee Lauder school of products. Ojon is one of those slick, expensive, luxury labels for hair that you’d take umbrage at if a visitor to your home /boyfriend decided to use it by the yard without asking. Yes, the prices are high, but these can be excused if the product lives up to its promises. For example, the Ojon Restorative Hair Treatment (£40 for 150ml) is the first product that caught my eye as it stated that clinical trials showed you would see a 52% improvement in condition after only one use. The Restorative Hair Treatment can be left on overnight to maximise effects but can be applied to dry hair and left for 20 minutes minimum. Obviously, the longer you leave on the gloop, the more difference you will see. It promised to hydrate dry, damaged hair and strengthen and restore a healthy look and feel to hair, leaving hair extraordinarily soft, silky, and manageable. As instructed, I warmed a half teaspoon amount in the palms of my hands, which turns to oil with heat and applied to dry hair, left for 40 minutes and then washed with Ojon’s Shine & Protect Shampoo and Conditioner. The treatment’s waxy smell is slightly musky and unpleasant but not off-putting if it was going to deliver silky, shiny hair. The smooth and luxurious gloopiness of the Ojon Shampoo and Conditioner (£17 and £19 for 250ml), along with their premium fragrant smell actually feels like you’re using good, health inducing product on your hair. Featuring plant-based cleansing agents, this potent duo is ideal for natural or colour-treated hair and also really helps intensify the look of colour, working to help restore a healthy, natural-looking shine to dull hair. I finished by using the revitalising mist (£20 for 42ml) after I had towel dryed my hair and prior to styling. The weightlessness of the mist detangled and prepped the hair for heat styling. But would my hair be any smoother when dry? The difference was totally amazing and had me gasping. For the first time in years, my hair felt glossy, smooth and rich and still feels as soft, a day later. I can honestly say, there is a definite difference and improvement after just one application. I almost can’t wait to see the long term benefits of usage. NB. Re Ojon: Responsible sourcing allows Ojon to share the powerful benefits of the rain forest treasures without destruction or depletion of the resource, while providing a steady source of income for the indigenous groups that harvest them. A portion of Ojon’s revenues go to the Miskito Indian tribes to help preserve the rain forests and their traditional lifestyle. You can buy Ojon from dept stores such as John Lewis and via QVC. Find out more about Ojon by visting the website. 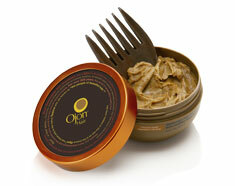 Have you been impressed by any of Ojon’s products or perhaps something else works for you? Let me know in the comment box below. Thanks.